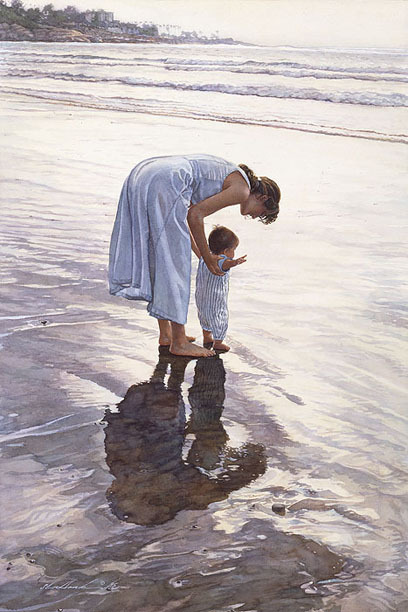 "Standing on Their Own Two Feet"
Standing on Their Own Two Feet is an example of Steve Hanks’ engagement with titles and the opportunity that they provide to add meaning to the work. The mother holds her toddler as she stands, perhaps for the first time, before the sweep of the ocean. It is a portrait of loving guidance and support. But also, in their reflections in the water, and in the shadows behind them, they are both literally standing on their own two feet.